Need to make a repair on your Bunton zero turn or walk-behind? Then you're in the right place. We've got a wide variety of replacement Bunton parts so you can get your Bunton Missle, Torpedo, or whichever Bunton mower you have back into top shape! 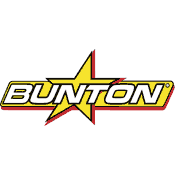 We have a large selection of high quality Bunton aftermarket replacement parts. Enter your part number above to find the replacement part you need!